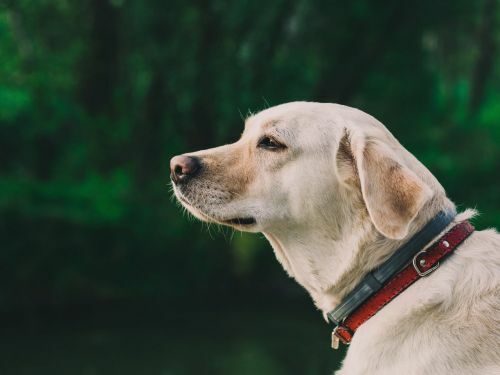 The Labrador Retriever has its origin from Newfoundland which is an island.Dorset Eskimos are the people who settled down first in Newfoundland. Newfoundland was discovered in 1494 by the Bristol traders from England. The people in the Newfoundland used Lab to help them during fishing.They were recognized as a kennel club breed in England. The Lab has its special talents in fishing, it nicely holds the fish in its mouth and swims well to bring it to the fisherman who was its master. They are also used to hunt game birds and waterfowl. Lab is a nice companion and also it helps in doing several works if it is trained. 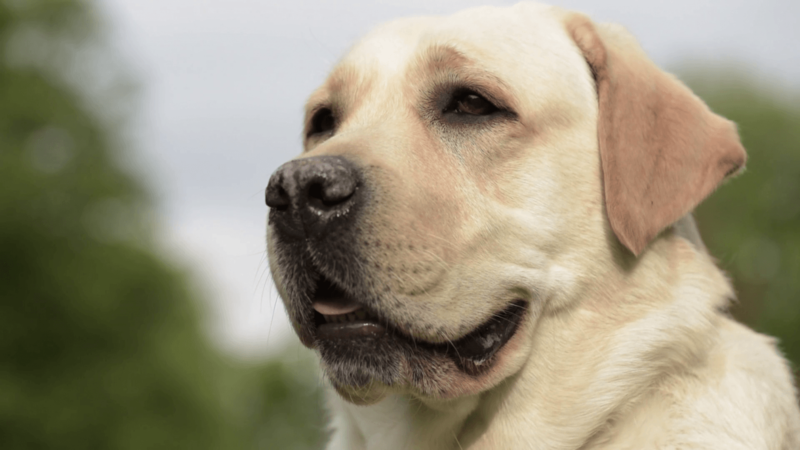 Lab is the America's most popular breed. They help the hunters, works with police and also serves physically challenged people. They are very friendly and it helps people so much by doing many works. They have very good sensitivity and are so affectionate with family members. They have very high energy level in their young stage. The Lab is a muscular and athletic dog. They are sweet natured and well deserved. Lab needs physical and mental activities regularly as they are very intelligent and energetic. 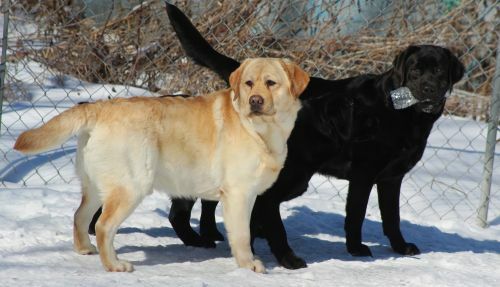 The pure bred Labs have black, chocolate and yellow colours. They are very interested in hunting and roaming. The young Lab should be given training to swim as a child, as they likes it very much. They takes more time to mature hence remaining as teenager for a long time when compared with other breeds. Malformation of hips, knees and elbow, Chances for Cancer. The 2 month old puppy should be given 200 to 250gms of food. 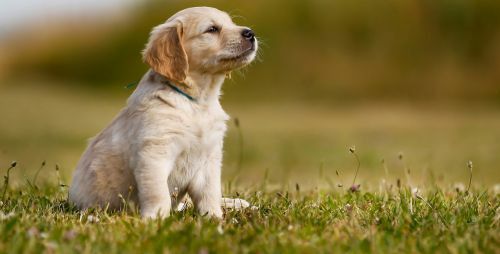 3 month old puppy should be given 250 to 300gms of food and 6 months older should be given 350 to 450gms. The varieties of food which are popular is kibbles, Barf, wet food and Home cooked puppy food. Lab can be fed by dry kibbles and also by raw meat or bones. Now-a-days most of the Lab are being fed with kibbles. 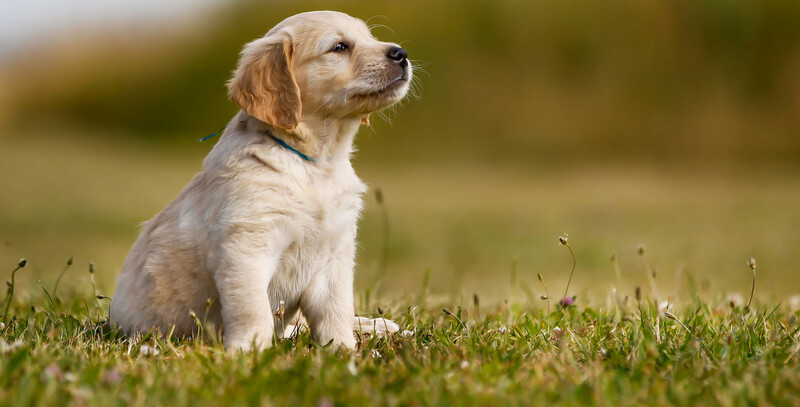 Kibbles are the dried pellets of dog food that can be bought in pet shop or even online. Raw meat and bones are very much popular food among dog owners in UK. For good health, Lab should be fed by a diet controlled food. Because overfeeding will lead to overweight of the dog as it causes weakness of bones. Lab is a very energetic dog, so it should be given some time to play daily. It will be very happy if it is given a fenced ground to play and burn off his natural energy. Also it will be very good for lab if it is given chance to swim weekly once. The Lab has a very good adaptability, it will get adjusted with its environment. Lab has a good learning ability and it can learn upto 300 human phrases. They are the 7th most intelligent dog breed. 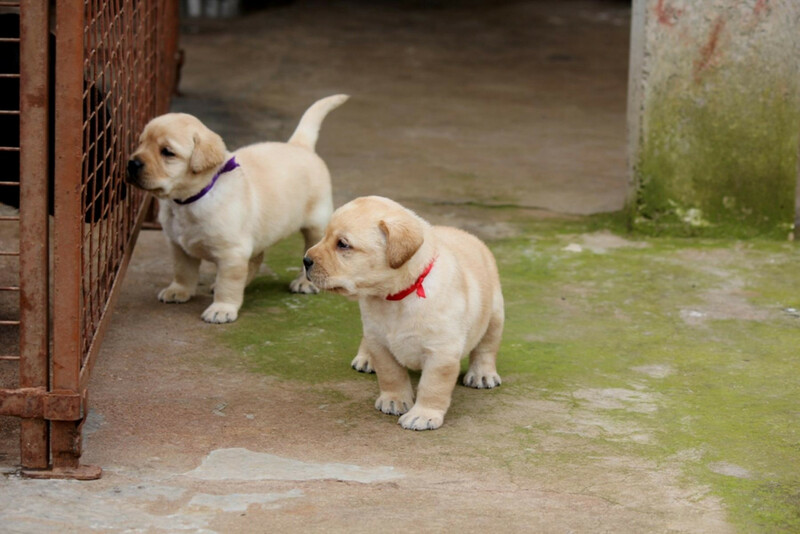 They are very much interested in playing with kids and are a very good companion for them.